Many of us have unrealistic hopes that someone will see our potential and hand us an easy blueprint for life; thereby, creating a set of expectations to guide us. We allow these expectations to influence our behavior and performance which usually bamboozles us right into surreal confusion. We can always expect others will come along to influence our direction in one way or another. That is part of the journey. The hand you were dealt is your blueprint for life and you choose whose influence helps build your life plan . The goal is to become the architect by using pieces of the past and filling in with new pieces to construct a new you. Your visions and hopes could be your look into a future already planned. You just need to figure out how to get there! Joanne wants to expand options for you to include new explanations and visualize beyond our noses. Life is not black and white! New explanations can affect our physical and emotional health and will create our magic through effort, prayer and wishing again upon that star! 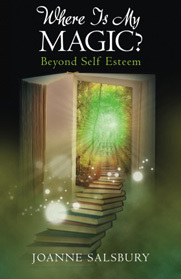 There truly is magic coming to us if we believe and follow our own heart! 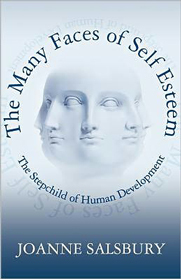 Self Esteem has always been the stepchild of human development. We tap dance around all of the problems people have with illness, relationships and communication issues, but it never seems to fall specifically on development of one’s self esteem. It is posed as a need for assertiveness, self-improvement, or self-help. It is broken down into having depression, dysfunction, addictions, co-dependency and the like. When all of this is boiled together, it actually comes down to having high or low self-esteem in my opinion. Self-esteem has been always a scary term it seems. Self Esteem can be fixed by you and only you. “The Many Faces of Self Esteem” is Joanne’s first book and will help begin your journey in uncovering why you are confused, lost and feeling helpless. Truth is also a scary term at times. What does it mean to us and our self-esteem? In times of discontentment, we direct the blame at others or feel like we are being punished for something. Truth bypasses us. We become fearful of accepting responsibility for our own actions or lack of action. Non-emotion seems to protect us from rejection, so we continue being bounced around by others because we do not know what we feel anymore. 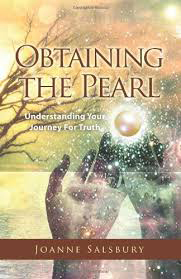 “Obtaining the Pearl” continues Joanne’s journey into uncovering the layers that hides the pearl already inside of you waiting to be re-discovered.